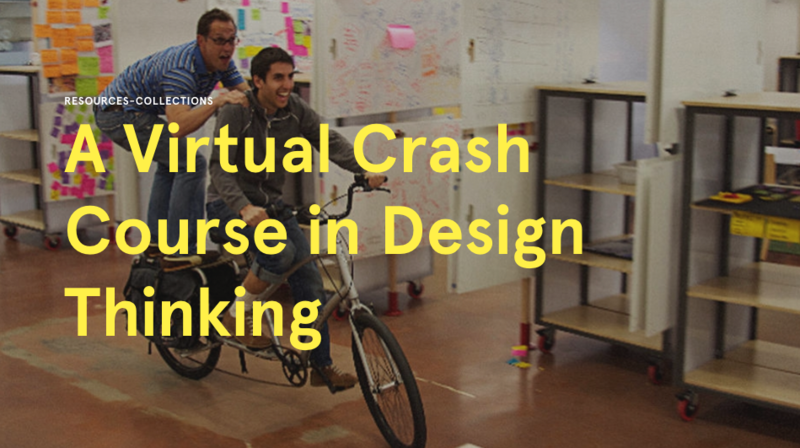 Welcome to the d.school’s Virtual Crash Course resource page! We know not everyone can make a trip the d.school to experience how we teach design thinking. So, we created this online version of one of our most frequently sought after learning tools. Using the video, handouts, and facilitation tips below, we will take you step by step through the process of hosting or participating in a 90 minute design challenge. Design – auf dem Weg zur Disziplin, Bernhard E. Bürdek, Verlag Dr.
IDEO launched the new toolkit “Design Thinking for Education”.